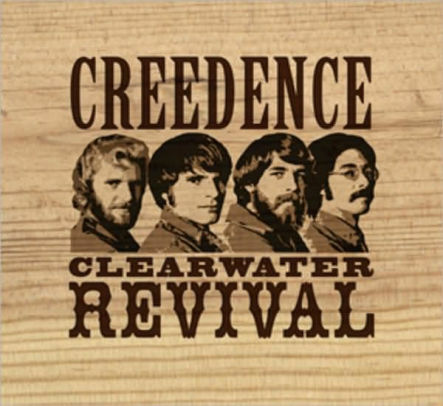 Creedence Clearwater Revival (or CCR) was a band active during the 60’s under different names, and had their most fruitfull period in the end of the 60’s and start of the 70’s. It consisted of the brothers Tom and Jhon Fogerty, Stu Cook and Doug Clifford, and became synonymous with the Swamp Rock genre. Their top hit songs had an odd destinction of always reaching No.2 on charts, usually being beaten by the likes of Elvis and Maddona. In 1993 they have been inducted to the Rock and Roll Hall of Fame, and are ranked 82nd on the Rolling Stone’s 100 greatest artists of all times list. A bayou is a body of water found in many places in the south of the USA, mainly the Misissippy river. In 1972 CCR disbanded after internal dispute, but some of their songs are very iconic for a puticular event in history. It made me think, why does one song (there is more than one, I know) is as iconic to the Vietnam war as the Huey and the Napalm? In my opinion it’s the process or mixture of: Success, Familiarity, Laziness and Parody. Funnily enough, while looking through the movies about the war, in first glance it doesn’t seem that CCR had any special place among the track lists. “Apocalypse Now” (1979) was spearheaded by “The End” and “Die Walküre“, with “Suzie Q” (another noteble cover) is somewhere in the middle, and “Full Metal Jacket” (1987) has “Paint it Black” as its signature. Even the pretty recent “Platoon” (2009) had none. So why “Fortunate Son” and the likes are the songs that make you think Vietcong, even if you are not American and don’t know who CCR are? Among the reasons I already mentiond there is the factor of romanticizing the war and parodying that romanticizing. Once I thought that I’m the only one who makes the connection of “CCR-Vietnam”, but when I understood that it has gone full parody I knew that it was somewhat of a common idea. In my opinion there isn’t one factor to the popular use of CCR songs in Vietnam related media. The fact that great movies not mainly about the war (“Forrest Gump”) used it to transfer the audience to the (not too serious) war mood when needed (for some evoking a feel of nostalgia), and that it wasn’t expansive to use them (it’s all about money at the end ain’t it), made the first foothold when romanticizing or laughing about one of the greatest scars of the US. When the audience became familiar with the concept, it was used none stop and soon became parodied. The fact that they were successful didn’t hurt either. How Creedence Clearwater Revival Became the Soundtrack to Every Vietnam Movie?